he world of aeronautical advances is littered with unrequited aircraft and ideas which all share one aspect in common: they are the perfect machines for their moments, but seemingly unexplainably, are never allowed to come to fruition and flourish. The Avro Canada C-102 Jetliner is perhaps the most notable and melancholy of these superb aircraft underachievements. edge projects envisioned was an intercity small – and medium-range jetliner tailored, of course, to the spec­ifications of the nation’s leading carrier, Trans-Canada Air Lines (TCA). The original specifications called for a payload of 32 passengers, with power supplied by two Rolls – Royce axial-flow turbojet engines. However, since Rolls would not release the engine (which subse­quently became the Avon) in 1949, Avro was forced to utilize four lower-thrust Derwent centrifugal-flow engines in their final design. What Avro came up with was an outstanding airplane which met or exceeded every one of TCA’s many requirements, promising a safe, simple, and reliable airliner for medium-range work. Passenger carriage was up, as was range and performance, and the Jetliner was really becoming something special. Being not much more than a DC-3 size airline at the time, and following the planning negotiations with Avro, it did not take long for TCA to realize it was in over its head with the Jetliner. They made it clear through many obfuscating excuses that they did not want to be the first airline in North America to fly jets, that responsibility being a bit too much for the line. Unfortunately, political considerations from Ottawa and the powerful Minster C. D. Howe, Minister of Trade (Minister of Everything, as Canadian wags called him) insisted upon keeping Trans-Canada Air Lines as an advisor to the project, and a public pronouncer on the quality of the air­plane. It was an airplane they neither wanted, nor wanted promoted, and this was just the beginning of the many sad ironies for the Jetliner. Now that TCA was no longer the dictating force for the design of the Jetliner, Avro was finally set free to approach U. S. and European airlines. Meanwhile, the prototype aircraft had been taking shape in Malton and made its first flight on August 10, 1949. 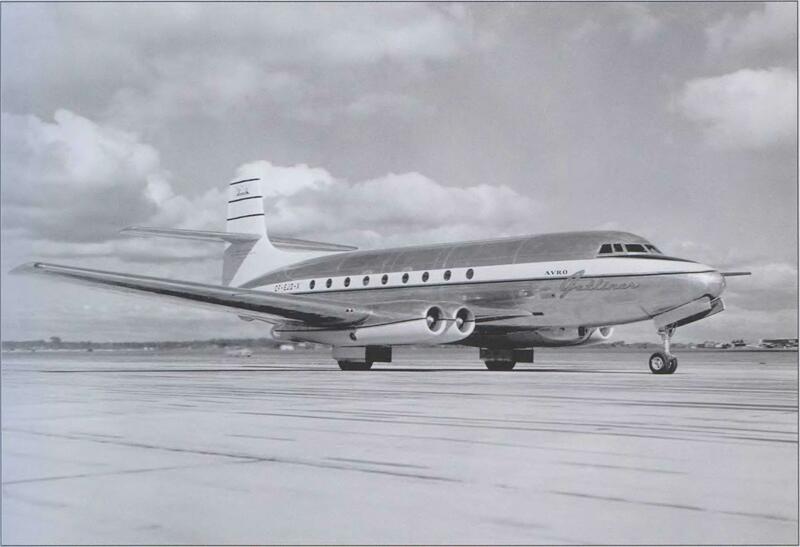 This date was a mere two weeks after the de Havilland Comet 1 made its maiden flight as the world’s first jet-powered airliner. It seemed then that the UK and Commonwealth partners were about to steal a march on the world’s airlines. The Jetliner now could carry 40 to 50 passengers, and flight testing showed the airplane could cruise at 450 mph. The Jetliner made the rounds with the North American airlines, and the first bite for an order came from National in July 1950 and its bigger – than-life president, Ted Baker. 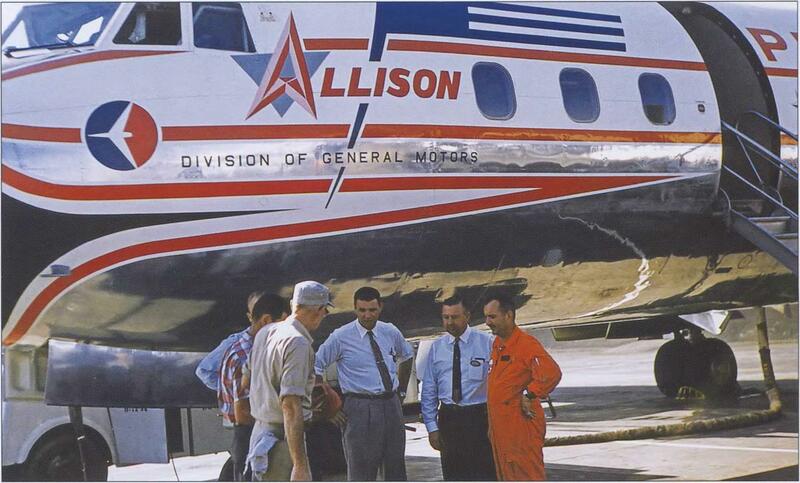 From American Airlines engineer to Avro employee came Dixon Speas, so enamored of the Jetliner that he became Avro’s U. S. sales representative. Speas lit the fuse on the skyrocket that was Jetliner sales. Not happy with this tremendous success, C. D. Howe asserted himself into the process once again and forced Avro to stop working on the C-102, favoring shop space being utilized for the CF-100 interceptor. The Korean War theoretically influ­enced his decision, as did the size of the order from Avro’s largest customer, the Canadian government. Jim Floyd, however, felt that Avro could have indeed managed both the Jetliner and CF-100 pro­grams, but such was not the case. Enter now one Howard Hughes. One cannot overstate the role Howard Hughes played in nearly resurrecting the C-102. Hughes loved the Jetliner and wanted TWA to fly 20 to 30 of the airplanes on its routes. He worked with Convair in San Diego to license build the airplane for all cus­tomers, which meant TWA would have received their first aircraft in May 1954 (equipped with either Allison J33 or Pratt & Whitney J42 engines). The U. S. government quashed the idea after much wrangling with Hughes and Avro, disallowing Convair from utilizing any factory space for production, since the company was ramping-up for its own new intercep­tor program, the delta wing F-102. Hughes then told Avro that he would personally finance the building of the airplane in Canada if Avro could arrange the space. When Howe discovered this, he was furious, and said “no!” in no uncertain terms. The entrepreneurial approach and gutsy leading-edge leadership of an American visionary was the last chance for the Jetliner, and all that was now extin­guished by a single bureaucrat who had nothing but antipathy from the near beginning for this wonderful airplane. After seven years of development, the Jetliner was officially dead. How much history Avro made with their Jetliner! An excellent airplane for the times, the C-102 could really have put Canada on the map of world-class lead­ers in aviation production and development. Don’t for­get that it was this same firm that only a few years later designed the futuristic delta twinjet CF-105 Arrow fighter/interceptor. Continuing the cruel fate of gov­ernment intervention, Avro also saw that magnificent airplane killed just as it was proving its pedigree. It seems that free markets just didn’t matter to the Canadian government in the 1950s, much to the detri­ment of air forces, airlines, and passengers worldwide. The transition from props to jets was tumul­tuous in the early fifties. But had there been an Avro Jetliner fleet plying the routes of America’s and Europe’s airlines in dependable comfort in those transformative days, that transition would have occurred much faster and more effortlessly than it later did, with commerce and economic growth exploding nearly half a decade earlier. Now that would have been quite a world! gleaming new mode of transportation, the future of air transport was in good hands. Unfortunately, fate and technology intervened, and triumph turned to tragedy in less than two years. within the United States was limited to points east of the Mississippi River, where Viscount 700s flew in the colors of Capital Airlines, which assured the type’s suc­cess with a massive order for 60 airplanes. From north of the border, Trans-Canada Air Lines brought its Viscounts into airports at Boston, New York, Detroit, Chicago, and Seattle. success with the type on shorter segments, including the dense Boston-New York-Washington commuter run. This then was the immediate Jet Age effect that the turboprop had on routes and passengers wherever the airplanes flew. Its capacity on a par with the Convair 340 and 440, the Viscount distinguished itself with its speed and qui­eter interior noise level, while at airports its shrill whine was a familiar nuisance. Like the Capital, Northeast, and Trans-Canada turboprops, Continental’s larger, 56-seat Viscount II was all-first-class configured and advertised as “First in the West with Jet Power Flights,” operating between Chicago and Los Angeles with stops at Kansas City and/or Denver beginning May 28, 1958. Meanwhile, Club Coach DC-7Bs han­dled the Chicago-Los Angeles nonstops until Boeing 707s replaced the type in 1959. Viscount II service was later expanded to routes in Texas and across the south­western tier of states. The Fairchild-built F-27 started flying with West Coast Airlines in September 1958, marking the world’s first revenue Friendship service. The type was an ideal candidate in the growing local-service-carrier arena, but West Coast continued to operate DC-3s in smaller mar­kets until the carrier became part of Air West in 1968. 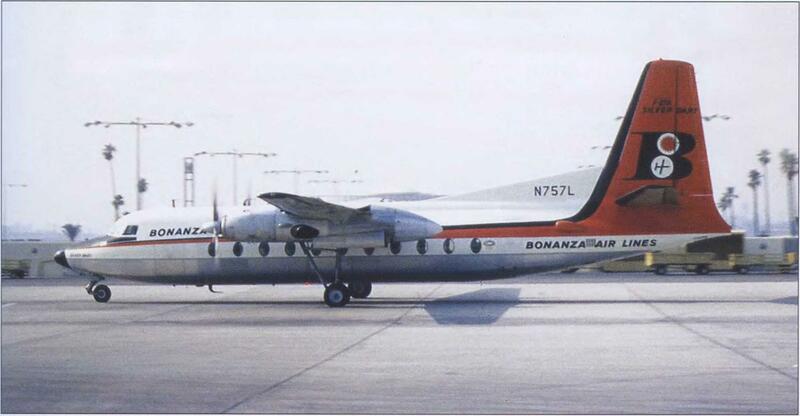 Bonanza Air Lines began transitioning to turbo­prop service on March 25, 1959, when its first three F-27A Silver Darts began revenue flying. Barely 19 months later, the carrier retired its last DC-3 and claimed credit as America’s first all-jet-powered airline, growing the fleet to 16 airplanes. second-hand Martin 404s about the same time. Together, the two variants permitted phase-out of Pacific’s DC-3s, which soldiered on until 1964. In the eastern United States, Piedmont Airlines began upgrading with F-27s on November 14, 1958, growing its new turboprop fleet to eight. As with Pacific, Piedmont acquired used Martin 404s as well. 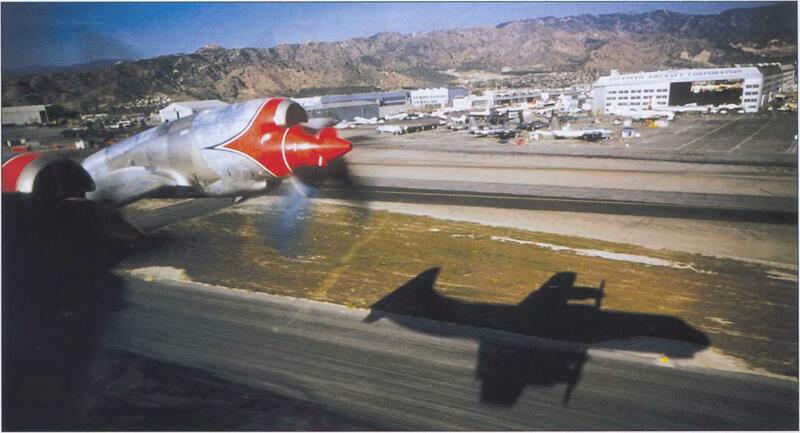 Seventeen were purchased from TWA to replace DC-3s and came on board three years after the Fairchilds. The first of seven F-27s for Midwestern operator Ozark Air Lines rolled off the Ffagerstown, Maryland, factory assembly line July 16, 1959, and was delivered only 11 days later. But the type did not begin earning revenue for Ozark until the following January. The car­rier also flew seven Convair 240s in the early 1960s, then Martin 404s. Like most of the local-service carri­ers, Ozark continued to operate DC-3s well after the turboprops arrived and finally withdrew them for good in October 1968. In Alaska, Northern Consolidated Airlines (NCA) and Wien Alaska F-27s transported freight and hearty passengers to small towns in the Last Frontier. NCA took advantage of the F-27B’s large cargo door to accommodate bulkier freight, while Wien operated F-27As. In Hawaii, Aloha Airlines operated the origi­nal model between Honolulu and island destinations. Allegheny also operated F-27s but did not receive the type until the end of 1965. By then, carriers were looking to the stretched FH-227 model. 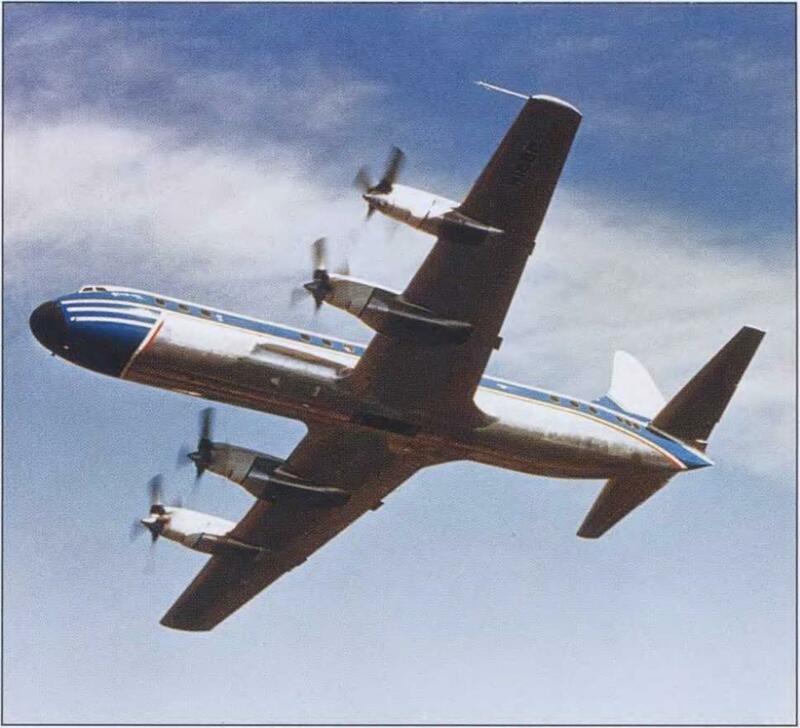 While the F-27 was ideally suited for local-service – carrier routes, the Lockheed 188 Electra became the turboprop of choice for trunk carriers, designed for short- to medium-haul segments while jets were assigned to longer legs. The Electra comfortably seated around 68 customers in four-abreast, first-class layouts plus a spacious, six-seat aft lounge. On January 12, 1959, the first of 40 Electras began revenue service in the colors of Eastern Air Lines. These all-first-class Golden Falcon turboprops initially seated 66 and operated the carrier’s principal routes on the East Coast, spreading their wings to points as far west as San Antonio. It would be a full year before the type was superseded by Douglas DC-8-2 Is and began con­centrating on shorter routes. American Airlines Electra Flagships would have beaten Eastern’s into service were it not for a 22-day pilot strike that began on December 19, 1958. American considered placing the type into service on transconti­nental nonstops for a short time while awaiting its first 707s, but the strike scotched that plan and revenue Electra flights began on January 23, 1959, between New York and Chicago, just two days ahead of the first 707 service. Seating capacity was 68, ideal for high-frequency service between Chicago and the East Coast, replacing DC-6 and DC-7 Flagships. The type was only sched­uled as far west as El Paso. American bought 35 Electras, with an eye toward 25 more, but instead chose additional Boeing jets. National Airlines, the first carrier to order Electras, took 14 from the factory and later 3 from American Airlines. Configured with 54 first-class and 18 coach seats, the turboprops entered service on April 23, 1959, on the New York-to-Miami route. They became National’s workhorse across the route system until the arrival of the airline’s first DC-8s in 1960, even serving on longer flights to the West Coast when the routes were awarded to National in 1961. Dallas-based Braniff International Airways pur­chased 10 Electras, placing its first into service on June 15, 1959, and the type quickly began appearing at most of the airline’s North American destinations. Although sold as first-class service, the 188s featured a 70-seat, alternating four – and five-abreast, arrangement. Advertised as “a totally new dimension in jet-age travel,” Western Airlines began Electra/JET service on August 1, 1959, between the West Coast cities of Los Angeles, San Francisco, Portland, and Seattle. Two months later turboprop flights were added to Salt Lake City, Denver, and Minneapolis, as the fleet expanded to five, 66-seat, first-class-configured air­planes. Seven more Electras followed with the last delivered in 96-seat, all-coach layouts, lacking a lounge. With pure-jet service beginning a year later, the turbo­props assumed shorter segments and continued to replace Convair 240s and DC-6Bs. Northwest was the only U. S. carrier to operate nonstop, coast-to-coast Electra flights, briefly between Seattle and New York, again while awaiting pure jets. Foregoing the aft lounge, the airline’s 188Cs were delivered in a mixed configuration featuring both Imperial first-class and Coronation coach. The first was delivered on July 19, 1959, and entered ser­vice on September 1, 1959. Medium-haul work was the norm for these 18 turboprops, which were reas­signed to even shorter routes with the delivery of more jets. 25-minute time between San Diego and the L. A. basin, and one hour to San Francisco. With cheap fares and frequent service, PSA thrived with this rugged airplane, its first type to be purchased new. Initially, three 188Cs replaced four DC-4s, followed by three more Electras including the prototype, refurbished after taking part in the type’s certification program.